^ "The Dutch migration monitor: Backgrounds and developments of different types of international migration" (PDF). Wodc.nl. Archived from the original (PDF) on 24 August 2017. Retrieved 23 August 2017. ^ "Economic Data Overview". Investcuracao.com. Archived from the original on 28 February 2009. Retrieved 23 May 2009. ^ "Economic Developments in 2016 and outlook for 2017 / Economische ontwikkelingen in 2016 en vooruitzichten voor 2017 – Curacao / Sint Maarten – BearingPoint Caribbean". Bearingpointcaribbean.com. 14 February 2017. Archived from the original on 3 August 2017. Retrieved 23 August 2017. ^ "Supply Side of the Labour Market Curaçao: Labour Force Survey 2016 – BearingPoint Caribbean". Bearingpointcaribbean.com. 3 March 2017. Archived from the original on 3 August 2017. Retrieved 23 August 2017. ^ "Households by the most spoken language in the household Population and Housing Census 2001". Central Bureau of Statistics. Archived from the original on 29 October 2012. ^ "Mixed Emotions (BREAKING THE WAVES) | Jonathan Rosenbaum". www.jonathanrosenbaum.net. Archived from the original on 15 December 2017. Retrieved 15 December 2017. Halman, Johannes I.M. ; Rojer, Robert A. (2008). Jan Gerard Palm: Life and Work of a Musical Patriarch in Curaçao (In Dutch language). Leiden: KITLV. Archived from the original on 25 September 2009. Palm, Edgar (1978). Muziek en musici van de Nederlandse Antillen. Curaçao: E. Palm. Archived from the original on 5 June 2004. Boskaljon, Rudolph (1958). Honderd jaar muziekleven op Curaçao. Anjerpublicaties 3. Assen: Uitg. in samenwerking met het Prins Bernhard fonds Nederlandse Antillen door Van Gorcum. Archived from the original on 2 February 2004. 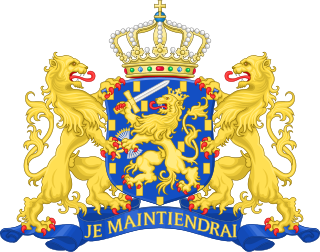 The Netherlands Antilles was a constituent country of the Kingdom of the Netherlands. 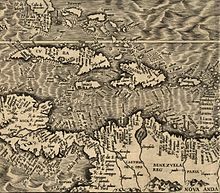 The country consisted of several island territories located in the Caribbean Sea. 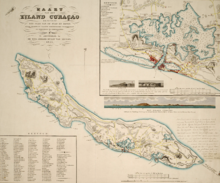 The islands were also informally known as the Dutch Antilles. 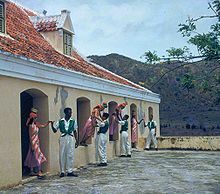 The country came into being in 1954 as the autonomous successor of the Dutch colony of Curaçao and Dependencies, and was dissolved in 2010. The former Dutch colony of Surinam, although it was relatively close by on the continent of South America, did not become part of Netherlands Antilles but became a separate autonomous country in 1954. All the island territories that belonged to the Netherlands Antilles remain part of the kingdom today, although the legal status of each differs. As a group they are still commonly called the Dutch Caribbean, regardless of their legal status. Bonaire is an island in the Leeward Antilles in the Caribbean Sea. 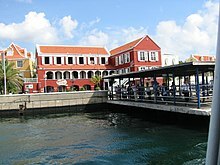 Its capital is Kralendijk, located near the ocean on the lee side of the island. Aruba, Bonaire and Curaçao form the ABC islands located 80 km off the coast of Venezuela. Unlike much of the Caribbean region, the ABC islands lie outside Hurricane Alley. The islands have an arid climate that attracts visitors seeking warm, sunny weather year round. Bonaire is a popular snorkeling and scuba diving destination because of its multiple shore diving sites and easy access to the island's fringing reefs. 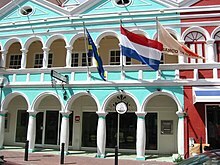 Willemstad is the capital city of Curaçao, an island in the southern Caribbean Sea that forms a constituent country of the Kingdom of the Netherlands. Formerly the capital of the Netherlands Antilles prior to its dissolution in 2010, it has an estimated population of 150,000. 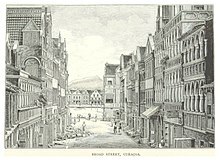 The historic centre of the city consists of four quarters: the Punda and Otrobanda, which are separated by the Sint Anna Bay, an inlet that leads into the large natural harbour called the Schottegat, as well as the Scharloo and Pietermaai Smal quarters, which are across from each other on the smaller Waaigat harbour. Willemstad is home to the Curaçao synagogue, the oldest surviving synagogue in the Americas. The city centre, with its unique architecture and harbour entry, has been designated a UNESCO World Heritage Site. Papiamento or Papiamentu is a creole language spoken in the Dutch Caribbean. It is the most-widely spoken language on the Caribbean ABC islands, having official status in Aruba and Curaçao. Papiamento is also a recognized language in the Dutch public bodies of Bonaire, Sint-Eustatius and Saba. 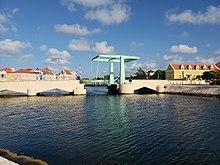 Kralendijk is the capital city and main port of the island of Bonaire in the Caribbean Netherlands. The language spoken in the town is Papiamentu, but Dutch and English are widely used. In Dutch, Koralendijk means "coral dike". 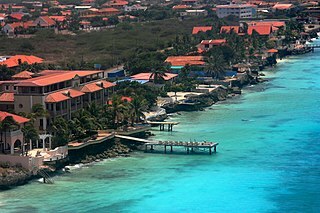 In Papiamentu, the town is often called Playa or "beach". As of 2006, the town had a population of 3,061. The Netherlands Antillean guilder is the currency of Curaçao and Sint Maarten, which until 2010 formed the Netherlands Antilles along with Bonaire, Saba, and Sint Eustatius. It is subdivided into 100 cents. The guilder was replaced by the United States dollar on 1 January 2011 on Bonaire, Saba and Sint Eustatius. 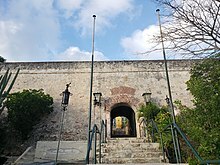 On Curaçao and Sint Maarten, the Netherlands Antillean guilder was proposed to be replaced by a new currency, the Caribbean guilder, but this has been stalled indefinitely by negotiations over the establishment of a separate central bank for Curaçao. 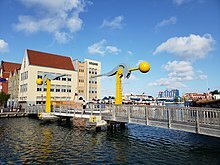 The Roman Catholic Diocese of Willemstad is a diocese of the Latin Rite of the Roman Catholic Church in Curaçao in the Caribbean. The diocese encompasses the territory of the Kingdom of the Netherlands in the Caribbean: the countries Aruba, Curaçao, Sint Maarten and the islands Bonaire, St. Eustatius, Saba. 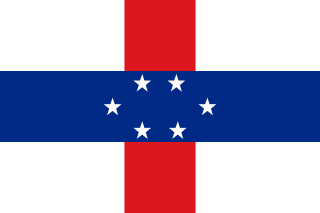 The diocese is a suffragan of the Archdiocese of Port of Spain, and a member of the Antilles Episcopal Conference. The Netherlands Antilles was an autonomous Caribbean country within the Kingdom of the Netherlands. It was dissolved on 10 October 2010. The Caribbean Netherlands are the three special municipalities of the Netherlands that are located in the Caribbean Sea. They consist of the islands of Bonaire, Sint Eustatius and Saba, although the term "Caribbean Netherlands" is sometimes used to refer to all of the islands in the Dutch Caribbean. In legislation, the three islands are also known as the BES islands. The islands are currently classified as public bodies in the Netherlands and as overseas countries and territories of the European Union; thus, EU law does not automatically apply. A common visa exists since the end of 2010 for the territories of Aruba, Curaçao, Sint Maarten and the Caribbean Netherlands which form together the territory of the Kingdom of the Netherlands in the Caribbean. The visa is not valid for the European part of the Netherlands, which is part of the Schengen Area. 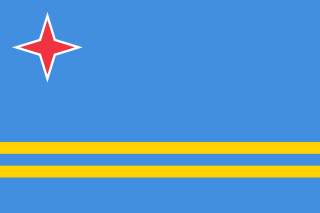 The Bonaire national football team is the national football team of the Caribbean island of Bonaire, a public body of the Netherlands. It is under the control of the Bonaire Football Federation. It became a member of the CFU and an associate member of CONCACAF on 19 April 2013. after which it became a full CONCACAF member on 10 June 2014 The team can participate in the CONCACAF Gold Cup and Caribbean Cup because of their membership in the confederation and sub-confederation. However, Bonaire is not a member of FIFA and therefore can not compete in the FIFA World Cup or other FIFA events. Joceline Clemencia was an Afro-Curaçaoan writer, linguist, feminist and independence activist. She agitated for the Creole language spoken in Curaçao, Papiamento, to become an official language and was successful in the struggle, having created both language schools and texts to further its cultural significance. She was in favor of full independence of Curaçao from the Netherlands. Nydia Ecury was a celebrated Afro-Dutch writer, translator and actress. She published five collections of poetry and translated plays of major European and American playwrights into the Papiamentu language, helping to develop the native dialect into a cultural language. 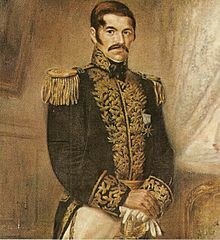 The recipient of numerous awards, including the Chapi di Plata literary prize, Ecury was honored as a knight of the Order of Orange-Nassau.